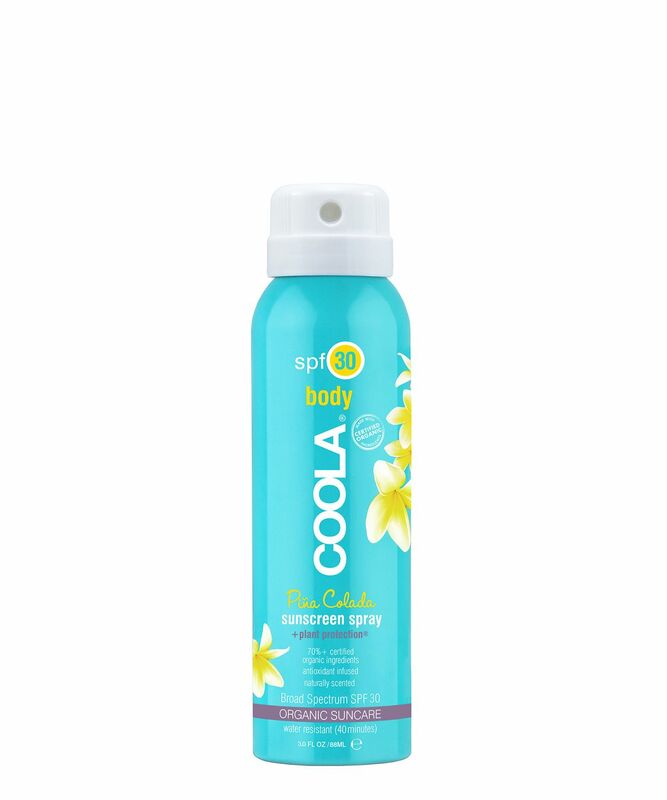 The easiest way to stay safe in the sun, COOLA’s Eco-Lux SPF 30 Sunscreen is a hassle-free continuous mist, which provides long-wear, non-greasy broad spectrum sun protection – creating an invisible high factor shield between skin and the damaging effects of UV rays. And its all-natural fragrance is phenomenal – a fruity blend of coconut and pineapple – like sunshine in a spray can! COOLA skin care takes the fuss out of protection with their easy, spray-on sunscreens. Ideal for all skin types (including sensitive), medium/strong sun or those who choose adventure over lounging, this heavenly-scented, SPF 30 filter binds with skin (it’s a chemical sunscreen) that remains water-resistant for up to 40 minutes – so you can swim (or sweat) without stressing about the sun. The brand’s farm-to-face philosophy means that their formulas are brimming with organic plant extracts – including cucumber, algae, strawberry and red raspberry seed oil (a natural sunscreen booster, rich in omegas 3 and 6) – to optimise protection whilst infusing skin with nourishing extracts. The smell is amazing but not too overpowering. The sunscreen is nice and application very easy!